It was Wallace Stegner,writer and historian,who first called America’s National Parks “the best idea we ever had”. It was Wallace Stegner, writer and historian, who first called America’s National Parks “the best idea we ever had”. Established as a way of preserving America’s natural beauty and wildlife, while at the same time allowing public access, and there are now 60 National Parks in the United States with the system covering over 84 million acres of land. We at EagleRider design our tours with some of the most stunning National Parks and National Monuments in mind. Motorcycle tours aren’t just about riding for us, and we love creating unique routes that offer not only great motorcycling but also take you through amazing scenery allowing you to uncover America in the best way possible. Speed limits are strict and park rangers do issue traffic tickets. Use your horn only out of necessity. Be alert for animals on the roadways. Watch for careless car drivers excited about scenery and/or animals. Only take pictures and only leave footprints (it’s against the law to litter or to remove anything from a National Park). Carry your camping gear if you plan to camp along the way. Always make sure camping is allowed inside the park and make reservations in advance if the park is busy. Leave yourself a bit of a time reserve. Riding through America’s national parks is a breathtaking adventure and you will likely want to stop often to take in the views or snap some photos, so plan accordingly. Be mindful of your fuel range. Some of the parks are quite expansive, and many do not have services inside their boundaries, so do your research and always make sure to fill up whenever you see a fuel station. Check weather forecasts before you go. Many areas in America, experience flash floods, lightning storms, high winds, and other extreme weather conditions which come on suddenly. Plan your route to pair parks, monuments, and recreation areas on your route to make the best out of your trip. Do a little research before you go. 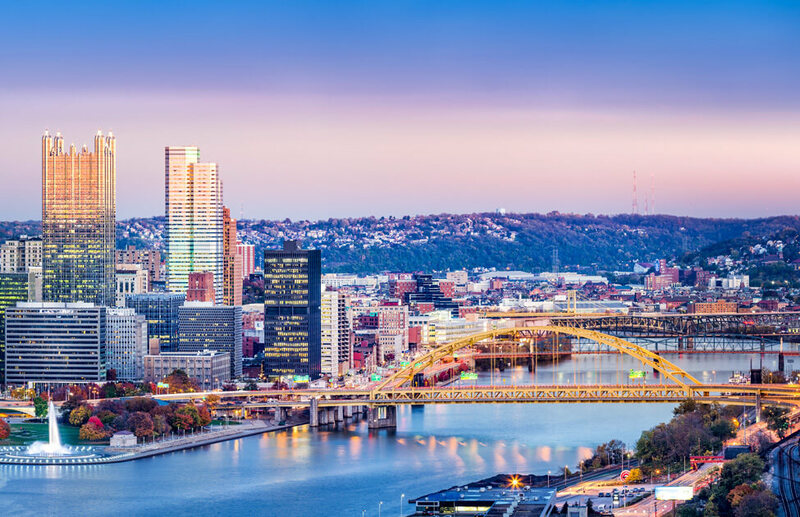 Deciding whether you’re mostly interested in history, heritage or nature will help you pick out the parks for the trip. Even if you don’t plan to camp, pack enough water and snacks for a whole day. Not all parks have restaurants. Established in 1872, Yellowstone was the first official park in the United States (and most probably the first worldwide). Yellowstone sits atop one of North America’s largest supervolcanos, and most of the park is covered with lava from the many eruptions over the last two million years. Iconic “Old Faithful” geyser is one of the most popular features of Yellowstone National Park, and it erupts every 35 to 120 minutes. An astonishing half of the world's geysers and hydrothermal features are contained within Yellowstone National Park, which derives its name from the Yellowstone River, whose headwaters are also contained within the park. Delighting visitors with its large buffalo herd as well as increasing grey wolf population, Yellowstone hosts America’s largest mammal concentration. Yellowstone is also home to some of the most scenic views America has to offer. 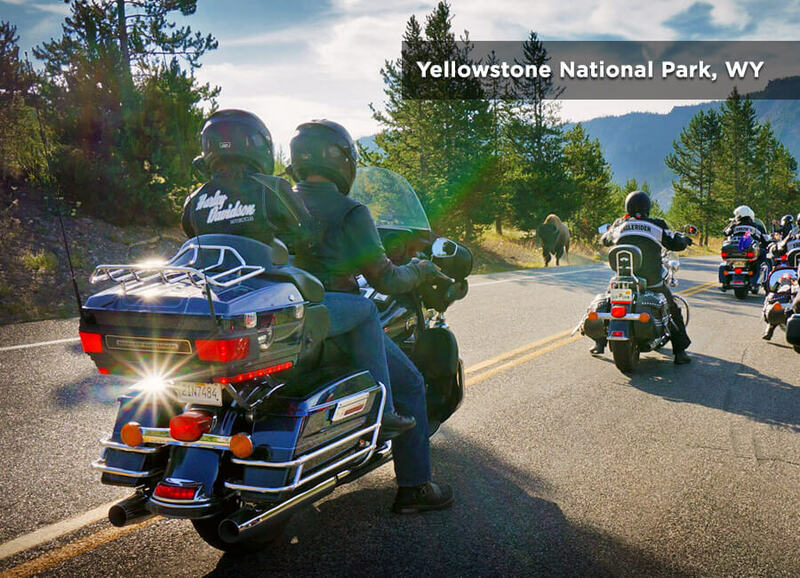 The abundance of wildlife, diverse ecosystems, herds of wild bison, and unique scenery sets Yellowstone National Park apart and makes it a must-see destination for motorcyclists. Yellowstone is a large park and it’s best to plan several days of riding to see it all. Make sure to plan travel and accommodations ahead of your trip as the park gets quite busy in the summertime. Even camping reservations are best made beforehand. Also, keep in mind while riding through the park the distances are a little greater than they seem on the map and the traffic will definitely be slower than you anticipate. 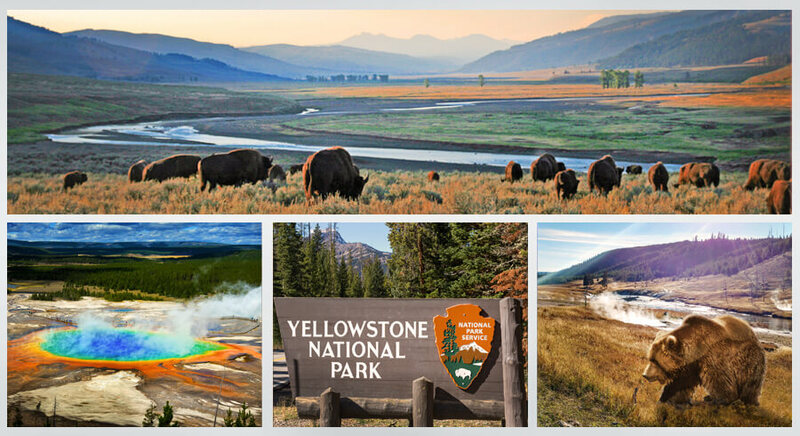 Although the American West is vast, Yellowstone National Park is relatively close to the Grand Teton National Park. 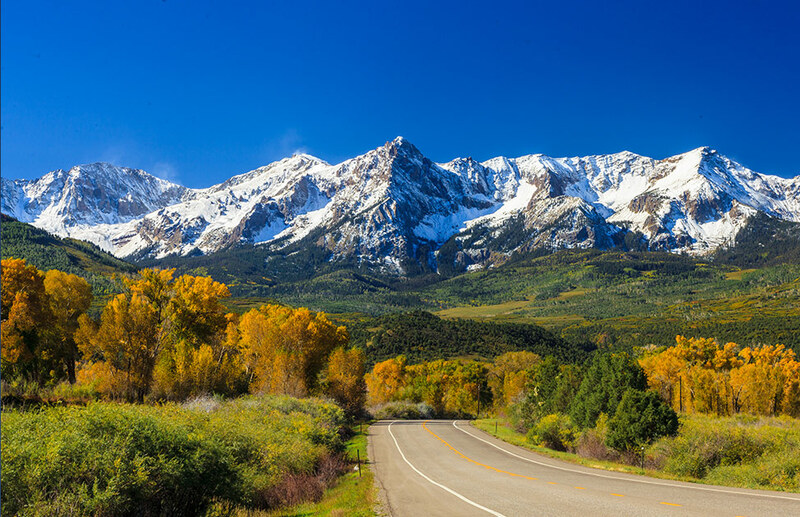 The Grand Tetons area is one of Wyoming’s most stunning destinations offering breathtaking views of the jagged snow-capped peaks of the Teton Mountain Range. There are numerous hiking and fishing opportunities in the wild valleys, lakes, and streams of the area. Local lodges and cabins are distinctive choice accommodations for your stay in this area. Yellowstone is a large park encompassing nearly 4,500 square miles (2,045 km) and has over 466 miles (750 km) of road, 310 miles (499 km) of which are paved and delightful for riding. With five entrances, there’s plenty of great riding throughout the park. Elevation plays a key role in the motorcycling season here, with an average of 8,000 feet (2,438 m), so it can be quite cool mornings and evenings, and frost can be present on the roadways in the “shoulder” seasons. Motorcycle riding is not recommended in Yellowstone in the winter. In fact, only the North entrance remains open to cars in the winter, while the other entrances are snowmobile and/or snow coaches only. With over 4 million visitors the last three years, Yellowstone’s roadways can get crowded in the summertime, especially when there are good weather and numerous animal sightings. Motorcyclists are particularly vulnerable when the seemingly calm yet unpredictable buffalo cross the roadways and wander between stopped vehicles. It’s always wise to look for an exit strategy in these human-animal encounters. Because of the immense number of animals in the park, it is best not to travel at night. 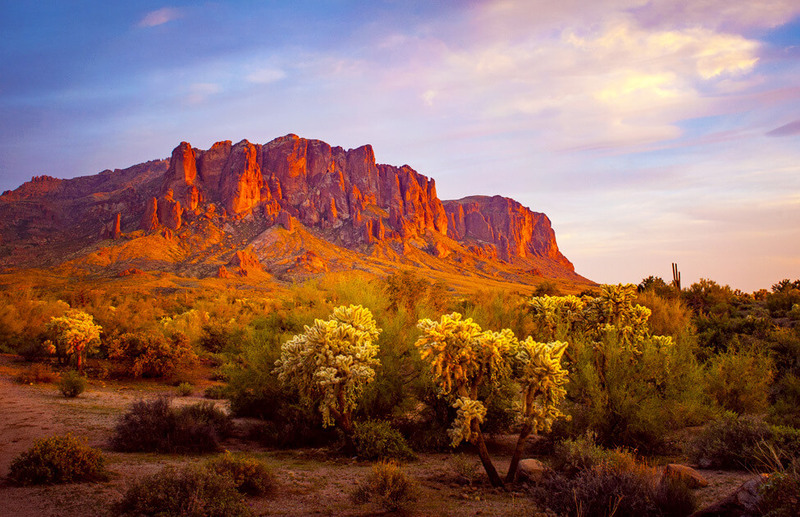 America's second most visited National Park is home to the world's largest canyon. The Grand Canyon is one of the most popular landmarks in the world, covering an area of about 1.2 million acres in Northern Arizona. The Canyon is accessible via both the South Rim and the North Rim, each giving visitors a distinctly different perspective of the canyon. The Grand Canyon receives an estimated 6 million visitors annually, and it is quite easy to see why. The view of the canyon is breathtaking, and its many outdoor activities make it a highly popular destination for a broad array of tourists. 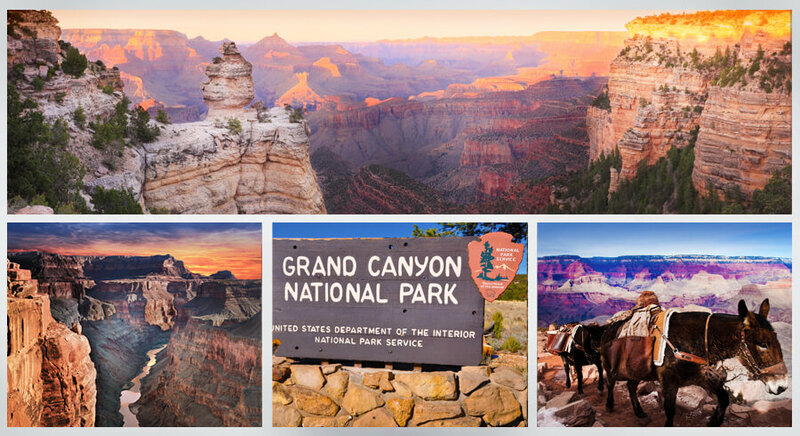 Considered one of the great Wonders of the World, the Grand Canyon is easily accessible via motorcycle. Desert View Drive (Rt. 64) follows the South Rim of the Grand Canyon from Grand Canyon Village all the way to Desert View, which is located at the East entrance of the Park. There are numerous pullouts where you can get off the motorcycle and take pictures of the magnificent tableau. Be sure not to miss the views at Mather Point, Yavapai Point, Yaki Point, and Grandview Point. If you are a keen photographer, sunrise is best taken in at Mather Point and sunset at Hopi Point. There are numerous places to set up for epic photographs along the rim, though be advised that the above will be very busy viewpoints even in the early pre-dawn darkness. Photography tip: when photographing sunset at the Grand Canyon, for the best photos look to shoot in the opposite direction to the sun, which is slightly counter-intuitive yet give you the best shots. Most visitors take in the views from the South Rim, which is easily accessible from Las Vegas and offers around 30 miles of rim accessible by road. The views at the North Rim are distinctly different and are definitely worth the 220-mile ride (4.5 hours). The North Rim can also be the cooler choice of the two rims in the summer season as it is considerably higher at over 8,000 feet in elevation. The North Rim is closed from December 1 through May 15 each year due to snow. Plan to spend several days touring both sides of the canyon in this iconic National Park. 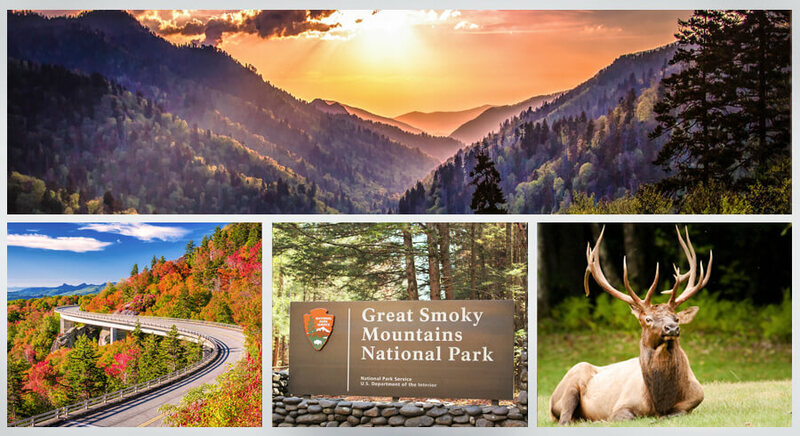 The Great Smoky Mountains National Park is the most visited National Park in North America, welcoming over 11 million visitors annually. 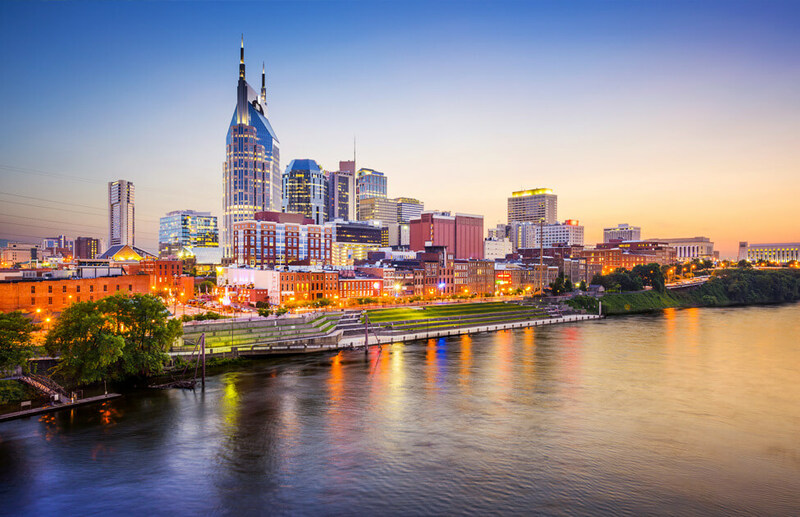 Dedicated by President Franklin D. Roosevelt in 1934, the park straddles the boundaries between Tennessee and North Carolina and is home to some of America’s most scenic roads. 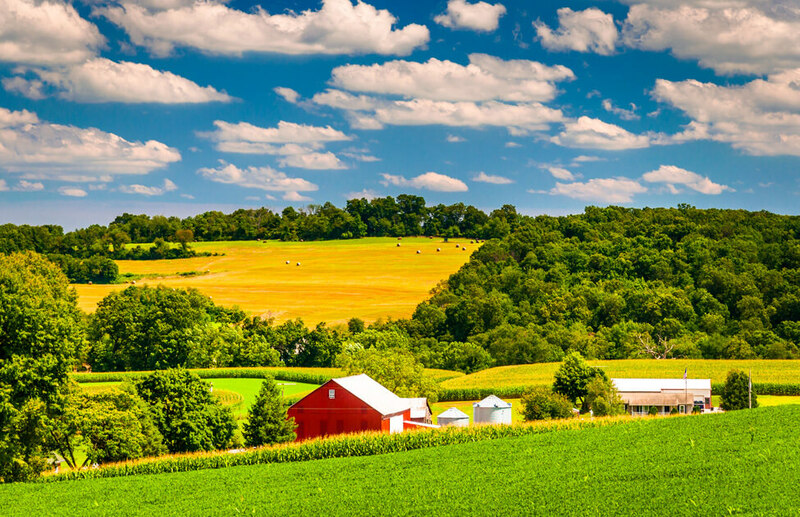 The park spans 522,419 acres including the Appalachian Mountain chain and is bountifully beautiful with curvy streamside roads with plenty of pullouts. A mid-June visit will enable you to witness the beautiful nighttime mating ritual of the fireflies when they all blink at the same time. These are the only species that do this in America. Wildflowers bloom nearly year-round in the park, and the area is full of deer as well as black bears. Don’t miss Clingmans Dome, the highest point in the park (as well as the highest point in Tennessee). Historical sites such as the Cades Cove and Cataloochee Valley, as well as many of the numerous pristine waterfalls, are all accessible to motorcyclists. 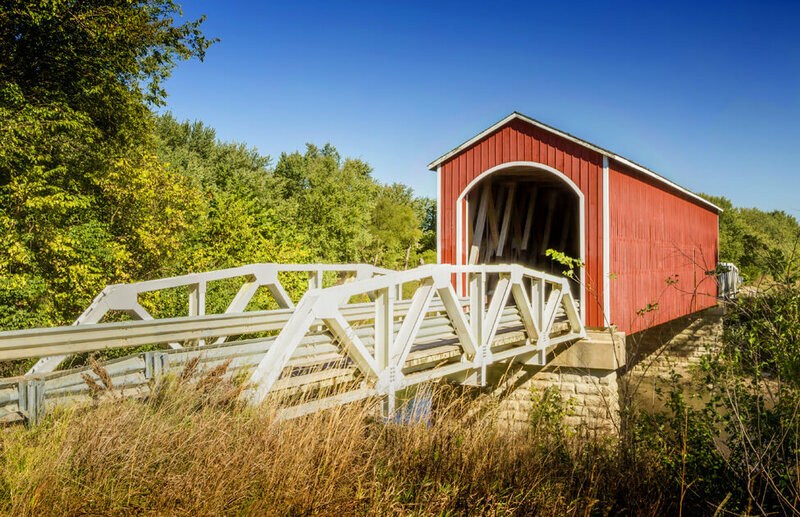 History runs deep in this region, and there are many places to picnic, hike, and explore the lives of the mountain people who lived in the area before it was designated as a National Park. Newfound Gap Road (US-441) is a beautiful and bike-friendly route that runs through the middle of the Great Smoky Mountains National Park. The Roaring Fork Motor Nature Trail is the one place in the park where motorcycle riders can escape the RVs and trucks with trailers. The 6.7-mile trail is located on the Gatlinburg, Tennessee end of the park and is best used from April until November. Although open year-round, the Great Smoky Mountains National Park is another park with seasonal and weather-related road closures. 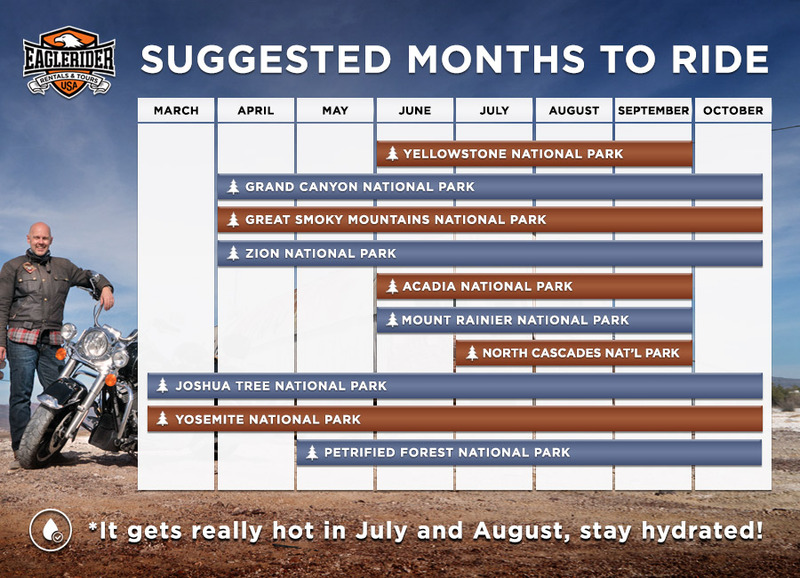 Be sure to check weather conditions before riding there in seasons other than high summer. Stop at the Visitor Center and pick up a paper map to carry with you as cell phones do not work in many areas of the Park. If you plan to camp in the Park, be bear-aware and store your food in the containers provided. Be mindful of the weather as well: much of the Smoky Mountains area is classified as rainforest and the weather is often wet and foggy even though conditions might be dramatically different no too far away. Zion National Park is located in Southwest Utah. 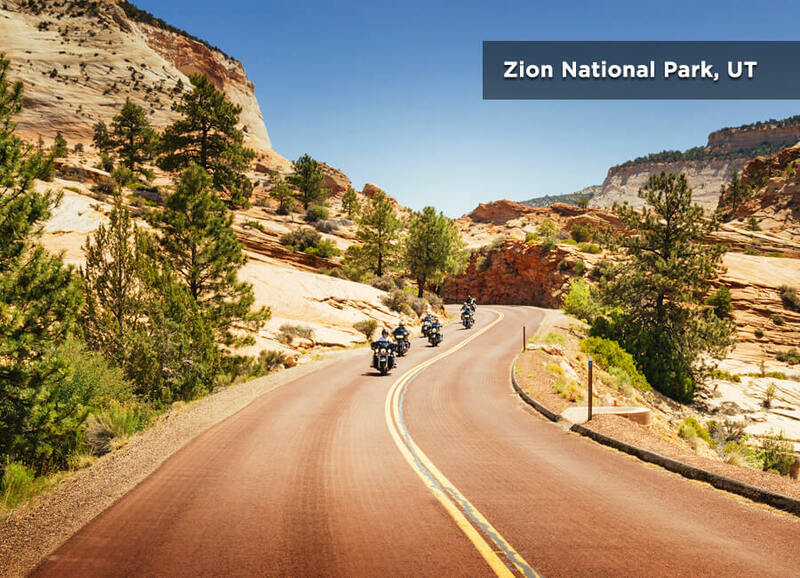 While not as large as its counterparts, Zion is a favorite among motorcyclists because travelers are able to ride through the breathtaking scenery, as opposed to merely seeing it from strategic viewpoints. The park is relatively small, only covering about 146,000 acres, yet is the most visited park in the region for this reason. 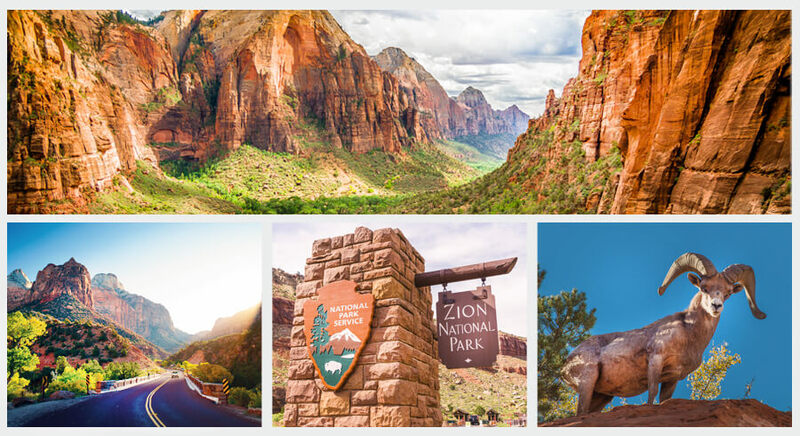 The park's central attraction is Zion Canyon, which is 15 miles long and is said to be home to over a hundred different bird and reptile species. Other attractions within Zion National Park include the Three Patriarchs, Horse Ranch Mountains, and the Sentinel Rock formation. Zion National Park offers only two main entrances; the park can be accessed from either Springdale in the south or Highway 9 from the east. Because of this, and the fact that Highway 9 is the main corridor through the park, traffic can be quite burdensome and delays are the norm. Most often there is a long wait -- with little or no shade --to get through the park’s narrow one-way-at-a-time tunnel. The National Park Service is working to alleviate congestion within the park, so it is best to arrive early in the morning to make sure you are able to get in and through the park, especially if you have reservations on the other side. Zion National is rather small, so it can be easily visited with the nearby Bryce Canyon National Park. Bryce is famous for its unusual rock formations called hoodoos, which are tall spires of red, white, and orange rocks clustered together in giant natural ‘amphitheaters’. Visitors are able to view them from several viewpoints along the road. Bryce Canyon National Park is smaller than Zion and can be explored in a single afternoon if you’re not spending time off the bike hiking and exploring. If you are pressed for time, the main viewpoints close to the park entrance are the “must sees” for photo ops -- Bryce Point, Inspiration Point, Sunset Point, and Sunrise Point. There are no services inside Bryce Canyon National Park and there is no way through the park, so it’s an out and back if you decide to explore the whole park. 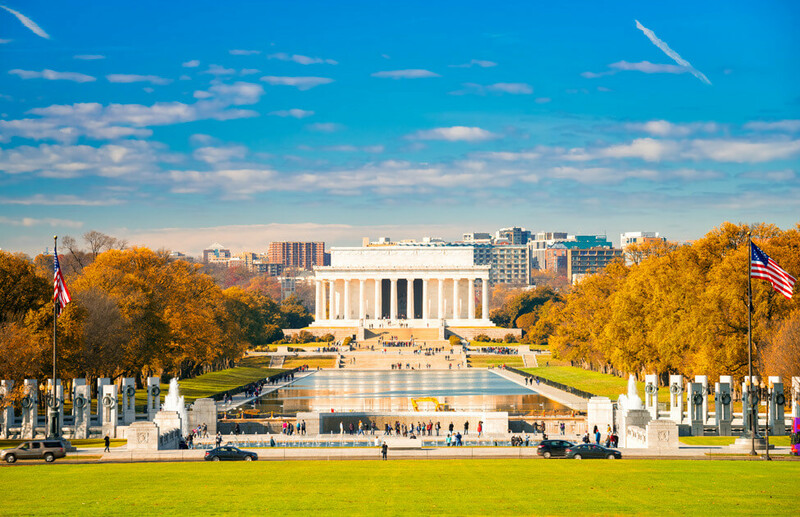 Because of the popularity of the park and the resulting congestion, the National Park Service operates a shuttle in the area between April and October in an attempt to reduce congestion if you’d like to hop on board. Located on Mount Desert Island on the southern coast of Maine, Acadia National Park is the only National Park in the northeastern United States. The Park welcomed about 3.6 million visitors in 2017, opening their gates to reveal 49,000 acres of history alongside modern wonder. The park is occupied by most of Mount Desert Island, where the Wabanaki people are said to have resided in the 17th century. Get to Acadia National Park by riding Route 3 to Bar Harbor. Definitely ride the entire Park Loop Road and see Sand Beach, Otter Cliff, Thunder Hole, and Jordan Pond. Ride to the top of Cadillac Mountain for spectacular a sunrise if that’s your thing; you’ll most likely find it fulfilling even if you’re not an early rider. If you’re adventurous and would like to stretch your boundaries, consider climbing Precipice Trail. The two mile round-trip path includes a scramble up the side of Champlain Mountain by iron rungs and ladders fixed to exposed cliffs. 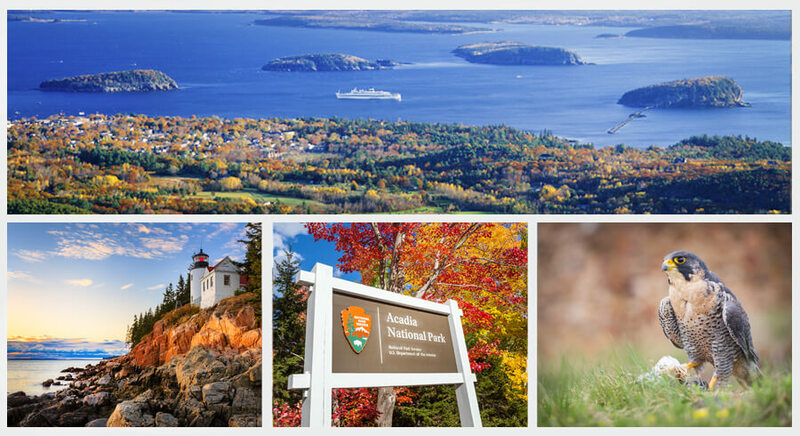 Acadia National Park is home to over 40 different mammal species as well as birds, fish, and reptiles. The park rangers usually close off some routes during unfavorable weather and seasonal conditions, so check this before your visit. Thick fog can sometimes prevent seeing the sights at some of the viewpoints, especially looking out into the sea. Finish your tour of the area by riding Route 102 clockwise to Southwest Harbor, Bass Harbor, and Seal Cove to round out your adventure. The fascinating Seal Cove Auto Museum is close by to Acadia National Park and is worth a visit. 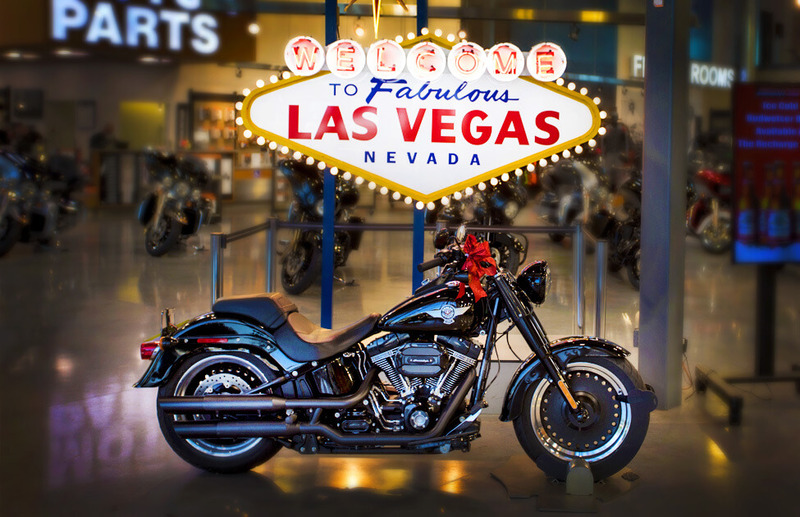 The museum features a rare collection of vintage automobiles and motorcycles ranging from 1895 to early twentieth century. The interactive exhibition also explains a curious historical battle between the Mount Desert Islanders: when automobiles were first introduced, half of the island population was strictly against them while the other welcomed motorized machines enthusiastically. The museum explores these early twentieth-century car wars through an exciting collection of vintage vehicles, clothing, and other accessories of the era. 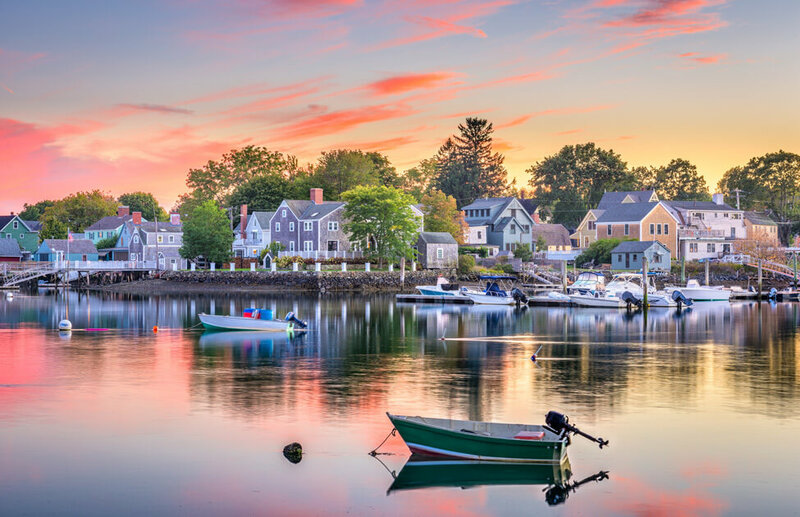 While visiting Mount Desert Island, stay at one of Bar Harbor’s cozy Bed and Breakfasts and don’t forget to try the delicious – and world-famous -- Maine lobster. 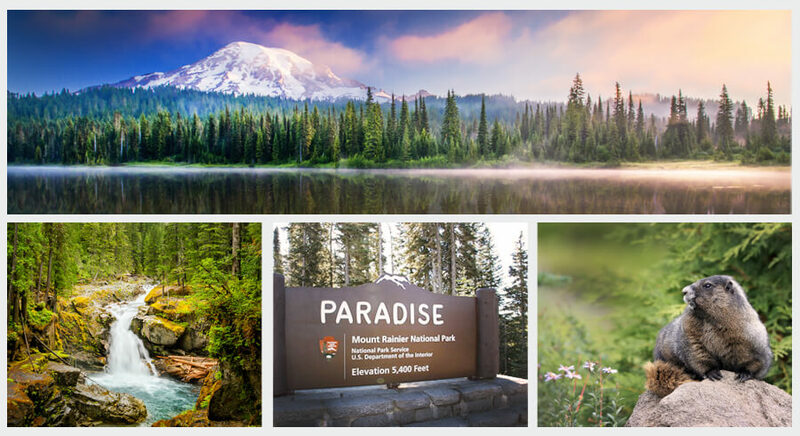 Spanning an area of over 369 square miles, Mount Rainier National Park is rich with alpine meadows, old-growth forest, pristine glaciers, and river valleys. 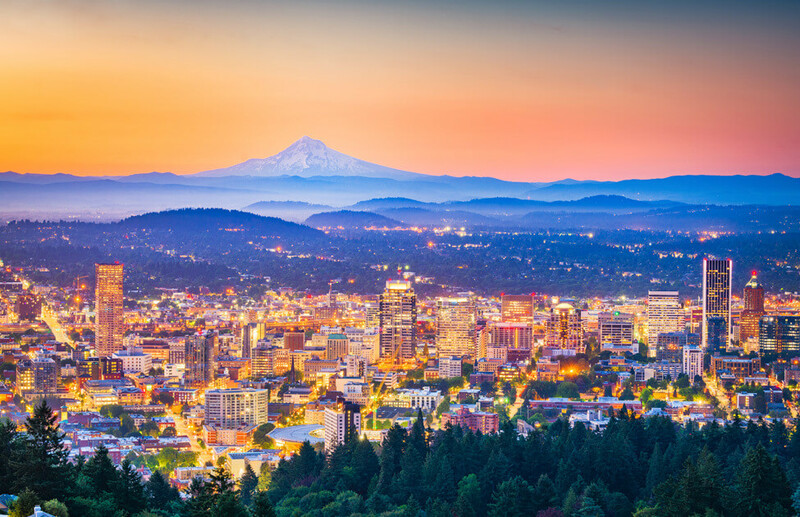 The Park encompasses Mount Rainier, a 14,411-foot stratovolcano, its peak covered in glaciers and often shrouded in clouds. The park offers stunning vistas and hiking trails and is home to Carbon Glacier, the largest glacier in the contiguous United States. Mount Rainier National Park is also teeming with wildlife: it’s a perfect natural habitat for deer, elk, cougars, black bears, bobcats, owls, and many other creatures. Nisqually entrance is the best access point into the Park. From there, you can visit Paradise on the southern slope of Mount Rainier or head towards other points of interest. Mount Rainier National Park has many visitor centers, ranger stations, and organized campsites for visitors. If you plan to camp in the wilderness of beautiful Washington state, be aware of wildlife as well as frequently changing weather conditions. For riders who just want to witness the magnificent Mount Rainier from afar, it can be viewed riding a road that circles the park. 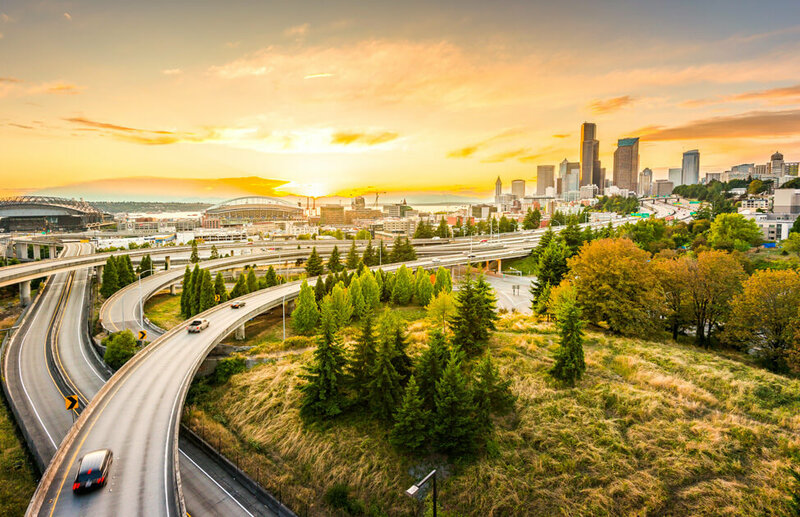 If you have time constraints, simply looping around Mount Rainier can be a great adventure on a scenic road. Another gem in the Washington state, North Cascades National Park can be paired with Mount Rainier National Park for a lovely weekend ride. The Park is easily accessible via the State Route 20. 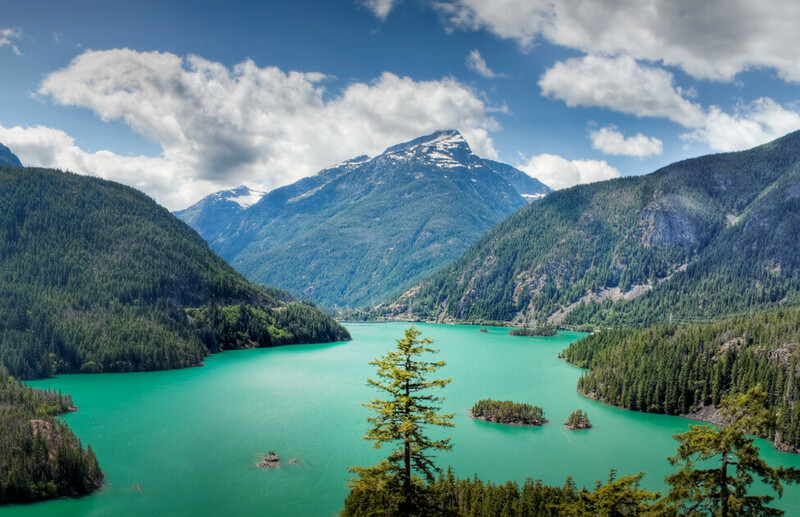 Containing over 500 lakes and ponds, numerous waterways, glacier fields, and forests with the highest degree of biodiversity of all the U.S. parks, North Cascades National Park is not to be missed. If you’re feeling adventurous, you can take your wheels off the pavement and ride into the park using lesser-known gravel roads such as the Cascade River Road from Marblemount or the Thornton Lakes road near Newhalem. 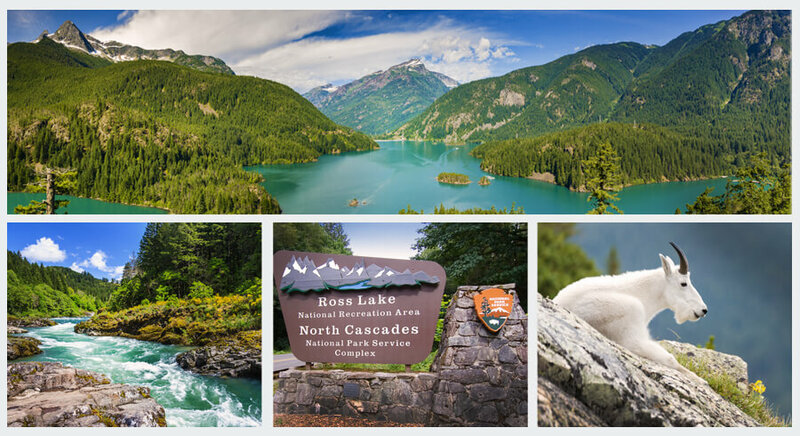 Be mindful about your impact: North Cascades National Park is considered to be a wilderness area and as such camping is only permitted in a few designated areas accessible by boat, on foot, or on horseback. You can always camp in the adjacent Ross Lake National Recreation Area accessible by State Route 20. Straddling an area the size of Rhode Island across the Mojave and Colorado deserts, Joshua Tree National Park offers an otherworldly vista of large boulder and rock formations in addition to the famous Joshua trees it has been named after. 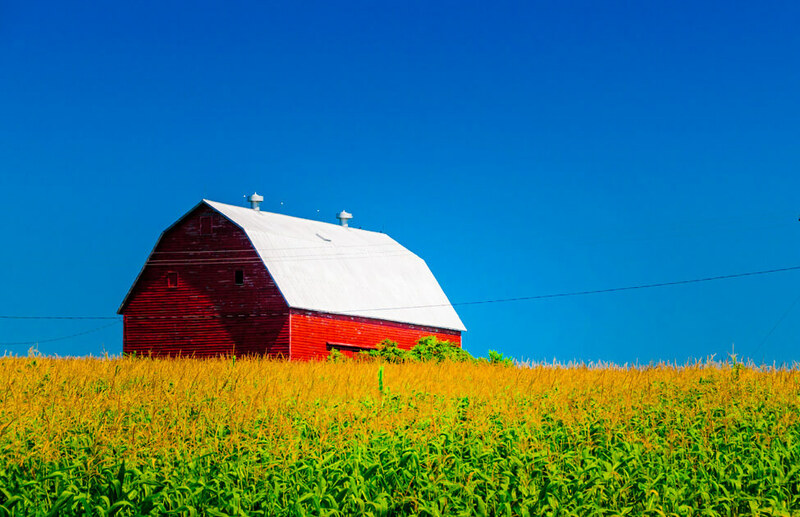 Easily accessible by paved roads, the park has numerous attractions and viewpoints. 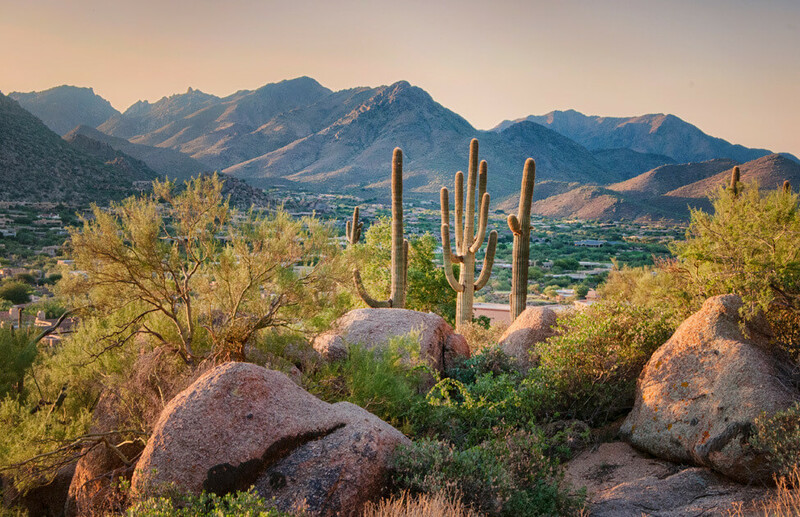 Our favorite is the Cholla Cactus Garden, a path meandering through a variety of cactus vegetation made all the more stunning by the view of the distant valley below. Travelers to Joshua Tree National Park in the fall just might arrive in time to see thousands of male tarantulas scouring the desert in search of a mate. The largest spiders in North America, at times it is difficult to avoid the numerous tarantulas on the roadways, yet it is good form to try and do so. Tarantulas survive and thrive in this unforgiving landscape, and won’t bite a human unless provoked, so slow down and take a close look at this most interesting desert dweller. 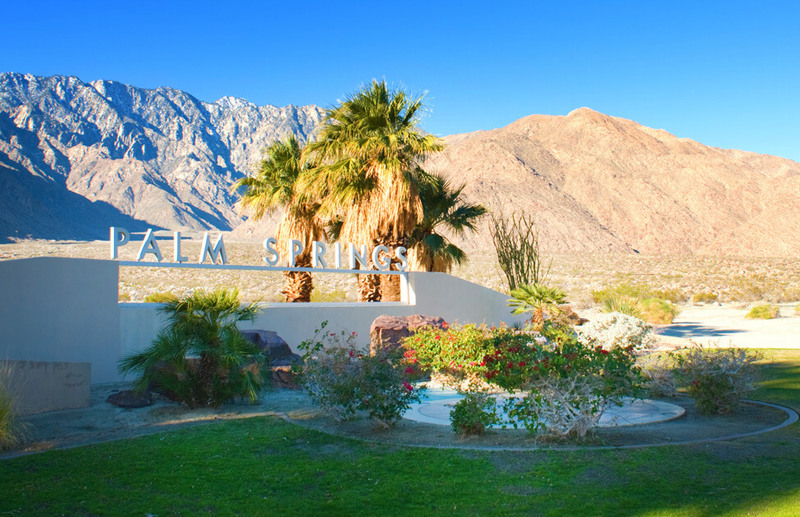 Temperatures go to extremes here, and the best time to visit Joshua Tree is spring or autumn. Always bring extra water and sunscreen if you’re planning to see the park in the summer months. There are nine campsites in the park, and since it gets quite busy with visitors, remember to claim your camping spot first, then go exploring. Joshua Tree is very popular among rock climbers, and there are a few days when you won’t spot quite a few of them scaling the rock faces. If you’re a fan of wild camping, there’s Bureau of Land Management (BLM) land, which offers free camping, between highway 10 and the southern entrance to the park. You’ll see all many RVs and campers parked along the dirt swells of the desert on both sides of the road. If you are entering the park from the South, the road eventually splits forming a Y. If you take the left leg of the Y, that’s the section of the Park where you’ll see the majority of the Joshua trees. 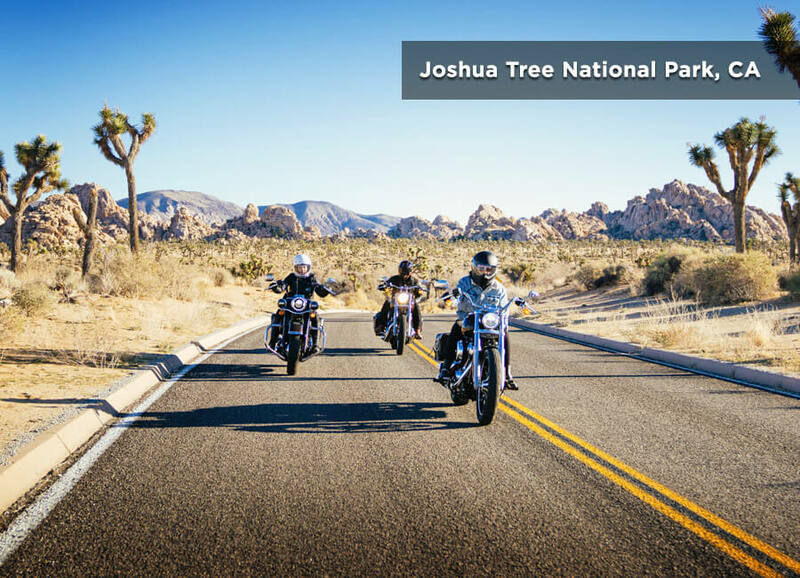 To see every inch of Joshua Tree National Park, you’ll need to backtrack a little and go out the West entrance. As you ride, be mindful about your gas range – there is nowhere to fill up in the park itself. Entering the Park from the South, stop at the ranger station on the right and get your entrance ticket. It can be confusing as most National Parks have an entry booth—Joshua Tree does not have a booth t the southern entrance. In any event, you will be asked to show it at the Northern exits and be required to pay a fee there if you’ve lost your ticket or not paid your entrance fee. The Park rangers regularly offer interactive talks discussing history, ecology and local flora and fauna, as they do at a lot of National Parks, and is something worth checking out. Located in the central Sierra Nevada, Yosemite is designated as a World Heritage Site and is famous for its giant sequoia trees, impressive granite structures, waterfalls, and wildlife. Over 90% of the park is designated wilderness and there is a lot of exploring to be done here off the motorcycle. 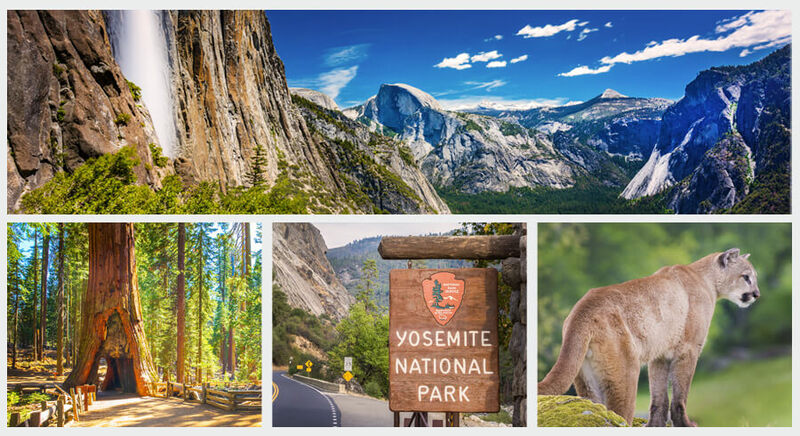 Yosemite offers breathtaking cliff views, mountains, glaciers, and many historical points. Make sure to visit El Capitan, the iconic granite cliff looming over the Yosemite Valley. The Yosemite National Park is best enjoyed in late spring, summer, and early fall months. A majority of the park is at a higher elevation, so the temperatures remain cool even in the summertime. There are many camping options to choose from but as it’s a frequently visited park, it’s best to plan ahead. When camping, be bear-aware: Yosemite is teeming with wildlife. You can also have a meal and stay at one of the lodges in the park. Plan to spend a weekend or several days exploring Yosemite as a day’s ride simply won’t be enough. You can also pair Yosemite with the Bristlecone Forest, another amazing natural monument to explore nearby. Petrified Forest National Park, situated in northeastern Arizona, is a surreal landscape to explore on two wheels. Beautifully colorful eroded rock formations combined with the Painted Desert with its scarce vegetation looks like it could easily be located on the Moon or on Mars. Petrified Forest National Park gets its name from numerous petrified wood fossils strewn around the area. While incredibly interesting to look at, be mindful that these fossils are not to be touched or taken from the park. It is against the law to remove anything you find or encounter in any U.S. National Park. 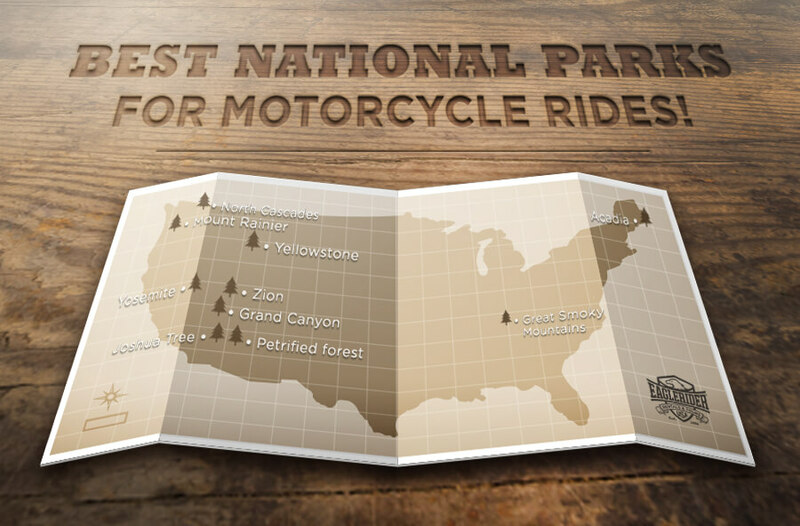 Easily accessible via Interstate 40, you can ride through Petrified National Park without having to backtrack. 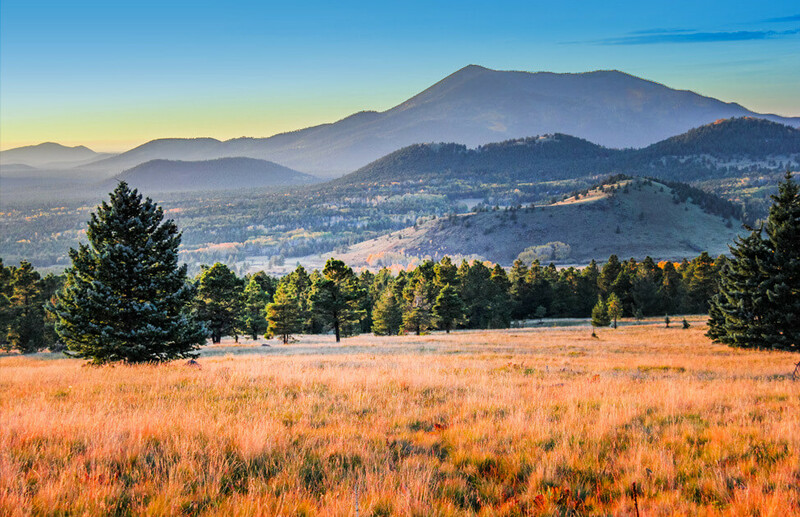 No camping or lodging is available inside the park, however, so you’ll need to find accommodations in Flagstaff, Holbrook, or Winslow. Before you enter the park, visit the Rainbow Forest Visitors Center or the Painted Desert Inn and join one of the “walk and talk” tours with a ranger. 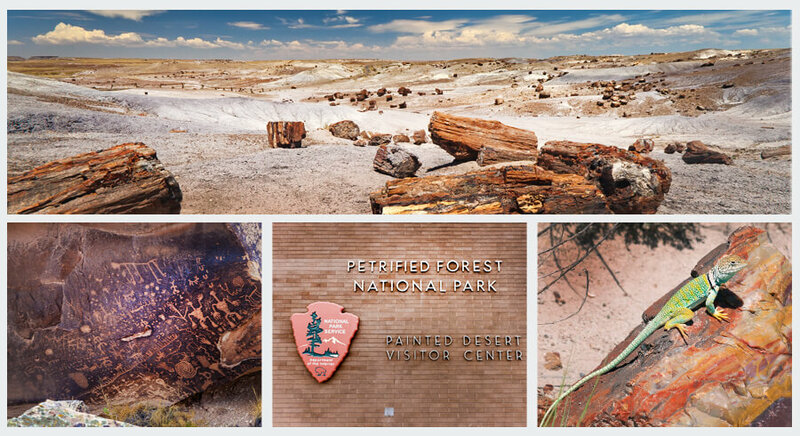 Petrified Forest National Park boasts some astonishing prehistoric heritage and it is worth hearing the Rangers’ explanations of how the petrified wood fossils and rock formations came to be. Weather can be extreme in Petrified Forest National Park. High winds, thunderstorms, and flash floods can occur unexpectedly. After visiting the Petrified Forest National Park, take Route 191 and ride North to visit Canyon de Chelly, which some call Arizona’s best-kept secret. Near the town of Chinle, Canyon the Chelly offers a magnificent cliff top viewpoint looking out into the canyon bed. There is a massive standalone rock spire known as the Spider Rock. The viewpoint is easily accessible via the main road. Later consider staying at the Chinle campsite or check into one of the town’s motels. Canyon de Chelly is nearly as impressive as the Grand Canyon, yet since it’s lesser-known among travelers, you just might have the whole place to yourself! 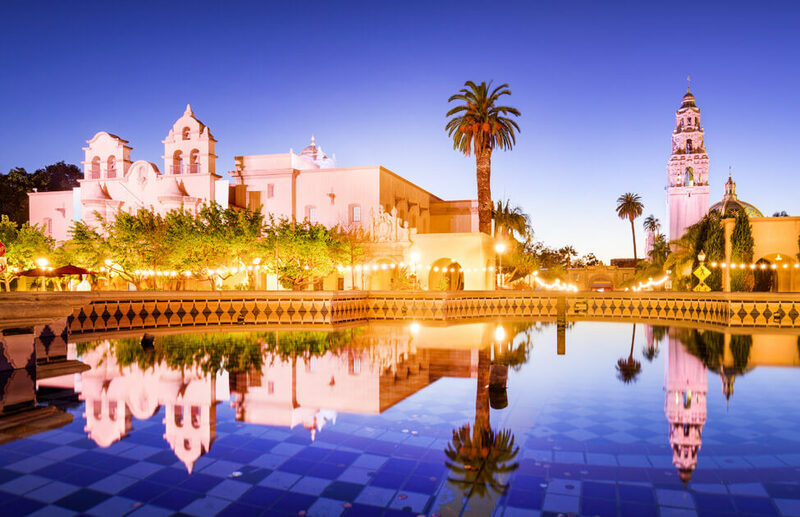 This southwestern state has heaps to offer when it comes to scenic roads, stunning natural beauty, and scenic vistas. 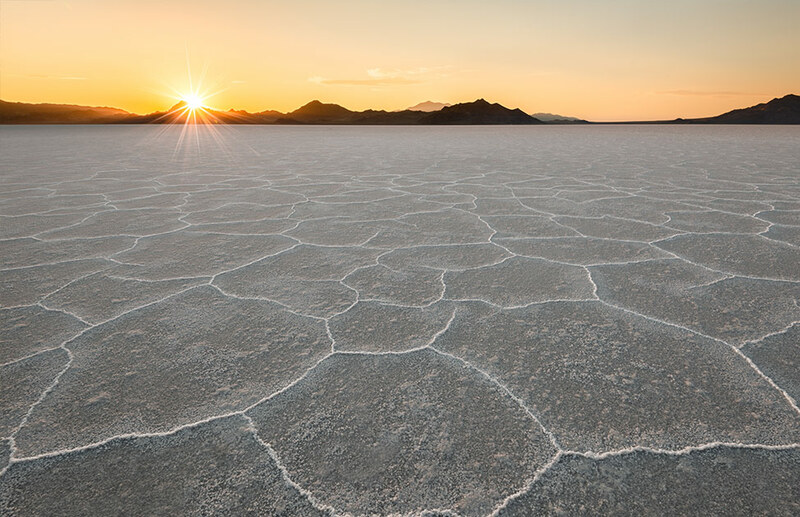 Loaded with National Parks, State Parks and National Monuments, Utah is the one state in the U.S. where visitors can easily spend a month exploring and still not see or ride it all. Consider using Moab, the adventure capital of Utah, as your base. Located near the Colorado River, from there you can enjoy a day’s ride across the majestic Arches National Park which offers spectacular views and red rock formations. Then, head for the Horseshoe Bend in Dead Horse Point State Park, the iconic viewpoint for the horseshoe-shaped twist of the mighty Colorado River. 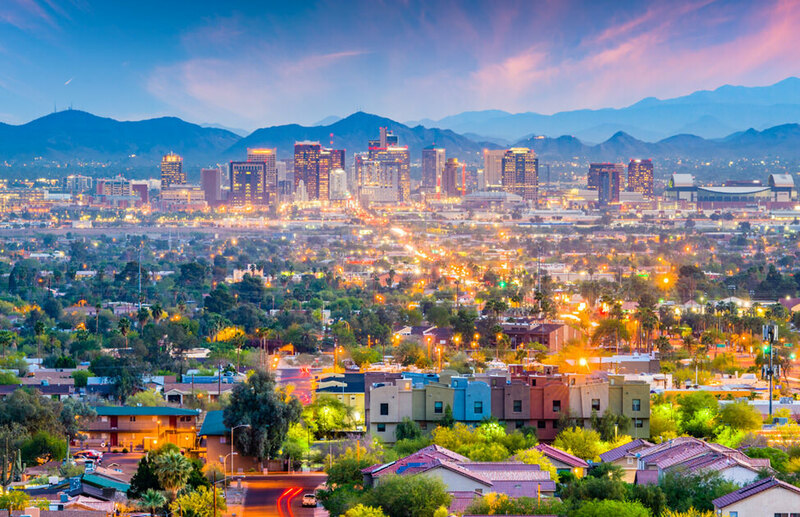 Also, close by is Canyonlands National Park in the Colorado Plateau, a natural wonder of numerous canyons, red rock formations, buttes, and mesas. Hopefully, you’ll plan more than a few days to explore the area, traveling towards the Valley of the Gods in the south. Valley of the Gods is a spectacular sandstone valley filled with towering red cliffs and spires. Goosenecks State Park has a stunning viewpoint overlooking the Colorado River similar to the Horseshoe Bend, but be forewarned: you’ll need to ride on a hard-packed dirt road. Wild camping in the Valley of the Gods is free, but make sure to bring your own water and food. From the Valley of the Gods, ride south towards Monument Valley – one of the most photographed iconic landmarks of America. 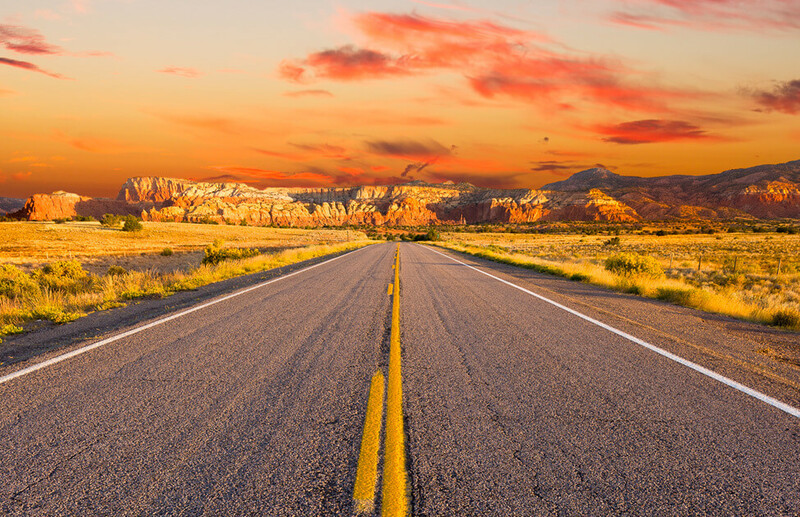 Then, carry on towards Grand Staircase Escalante, a breathtaking ride through some of Utah’s most beautiful scenery, and connect with Bryce and Zion national parks in the West. 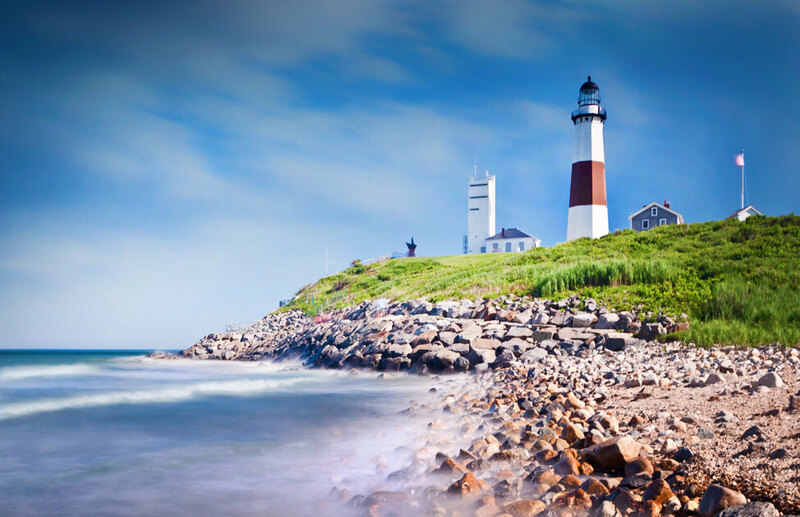 The National Park Service manages 450 natural, historical, and recreational areas throughout the United States. 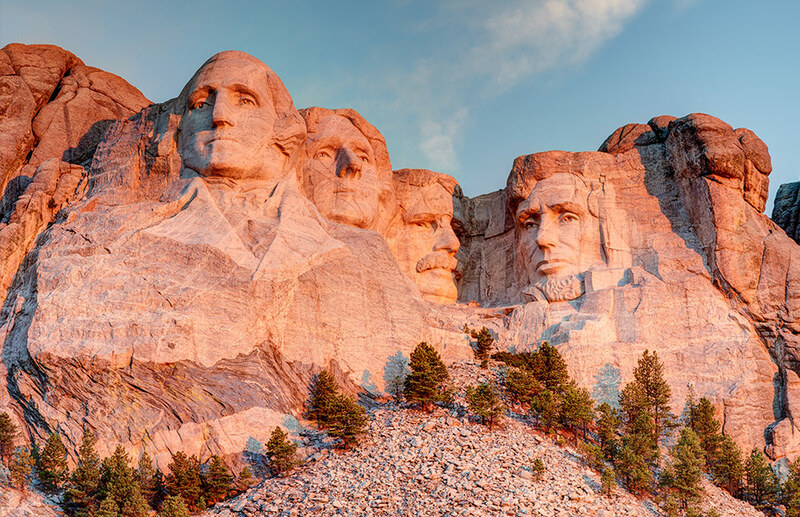 These not only include the National Parks, but also National Monuments, National Memorials, National Historic Sites, National Grasslands, National Recreation Areas and other entities. 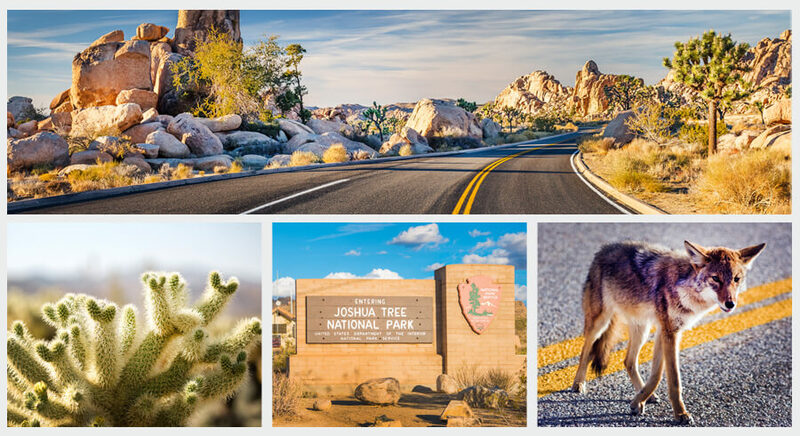 Some of the smaller parks and historical sites are free to enter, however, some National Parks (like at Joshua Tree National Park’s South entrance) expect you to stop at the first visitor center you encounter to pay your fees. 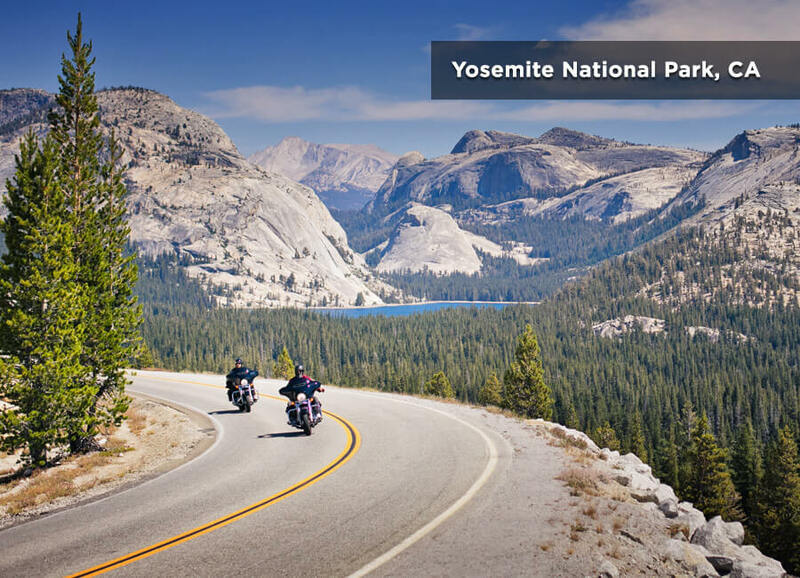 National Park entrance fees range from between $3 and $30 for motorcycles, so depending on the number of National Parks you plan to visit, a parks pass may be the most cost-effective way to travel. An Annual Pass costs $80, and it entitles you to an entire year of visits. If you are 62 or older, the Senior Pass is a good option at $80 for a Lifetime Senior Pass or $20 for an Annual Senior Pass. Most National Parks issue these passes at the entrance gate. 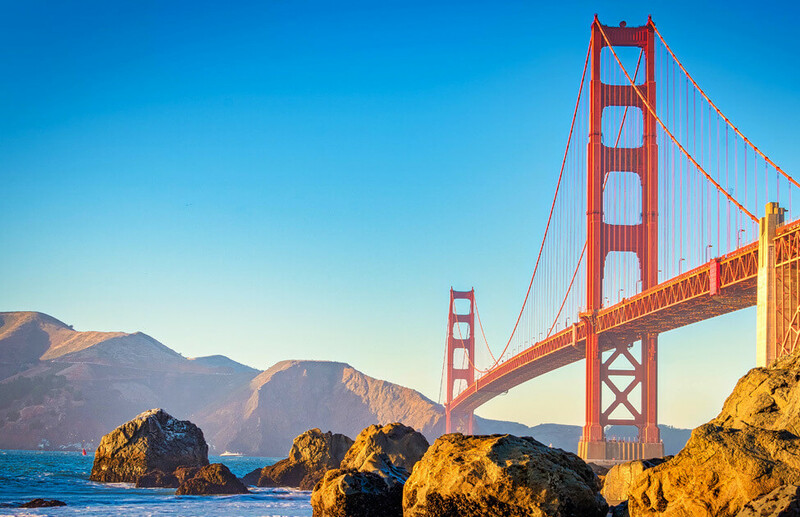 For more information on the passes as well as a complete list of parks which issue them, go to the official website for National Park Service. A pass covers entrance and day use fees for both the driver and the bike passenger. Camping inside the National Parks is an additional fee. 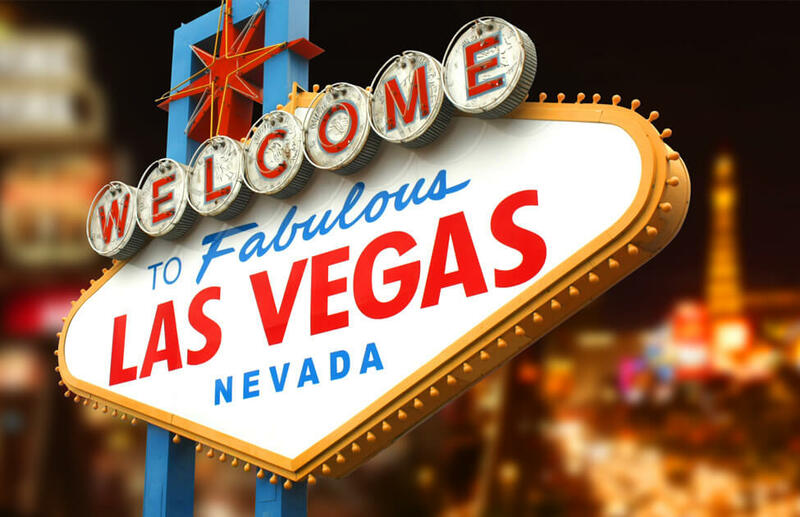 A complete list of entrance fees can be found here. 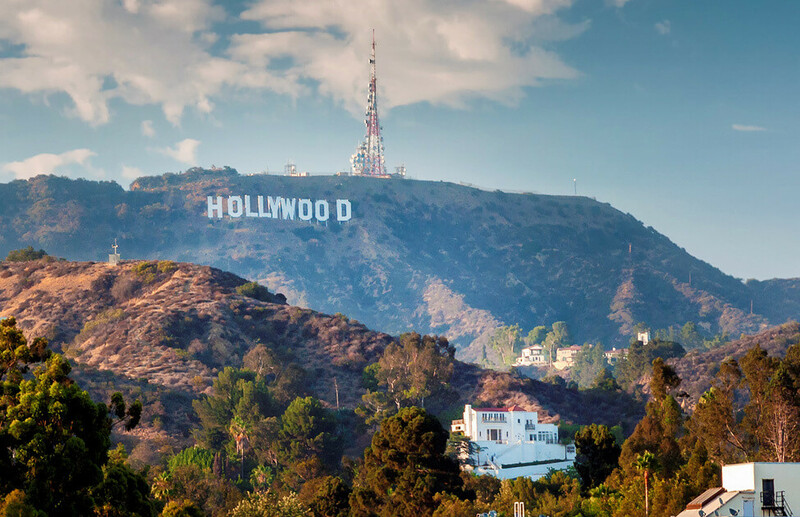 However you decide to pay – per park or per year – you can be assured that you’ll have a marvelous visit and ride, see, and experience what many people only dream about.